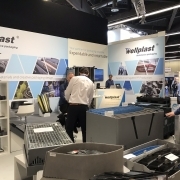 Last week Wellplast AB exhibited at the Fachpack exhibition in Nuremberg. The focus was Automotive packaging solutions. The show was a success with many new and old contacts visiting our stand. Thank you! Since beginning in 2000, the production facility has been located in Munka Ljungby, Sweden. This site has gradually expanded over the years up to 3500 sq.m. Due to very strong growth, the production has recently been moved to a new factory of 7500 square meters in Åstorp. Operations and headquarters has also been moved. 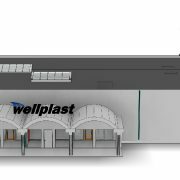 Continued good growth means that Wellplast AB has now decided and started the construction of an additional 2,000 square meter warehouse in Åstorp. In combination with the move substantial investments has been put into new production equipment. The target is to double the production capacity. 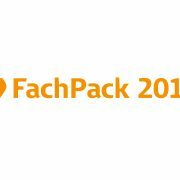 After last year's success, we will return to Fachpack in Nuremberg, Germany 27-29 September 2016. We will be in i hall 9, stand 304. 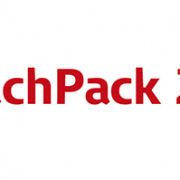 Read more about Fachpack and our participation here. Munka-Ljungby-company Wellplast AB has been nominated as one of three finalists in the Plastovationer competition. The nomination in the “Plasticovation of the Year” category applies to Wellplast material Wellplast® Soft, which is developed for lasting packaging of surface-sensitive products such as coated products or sensitive plastics.”We are very happy and proud of the nomination,” says Anders Jönzon, CEO of Wellplast AB. Other finalists in the category Plastovation of the Year are Välinge Innovation, which was nominated for a solution for the screwless assembly of furniture and the company Vigmed, which developed a solution to prevent needle stick damage in health care. 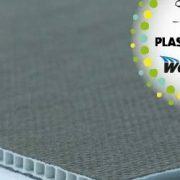 Wellplast Soft is manufactured with a unique technique, where the middle layer is extruded with air ducts and in the same process, the textile-like outer layers are laminated. Lamination takes place without additives such as glue, which means that the risk of haemorrhage is lost. The mid-layer and outer layers are made entirely of polypropylene and the entire material can be recycled directly in a very environmentally effective way. Wellplast Soft is produced in sheets that are converted to anything from interlayer to custom-made grids and boxes. Thanks to air ducts, it is a very lightweight material that at the same time has a high stiffness as well as crushing-and blasting strength.The material has a very high convertibility, which makes it popular with designers. Conversion can be done by punching, watercutting, laser, etc., and merge and sealing can be done with ultrasound, sewing, hot air, hot glue and self-locking designs. Wellplast states that the life of the material is long and that it keeps its shape even in rough treatment. The long life also makes it suitable for return packaging. In addition to the nomination in the Plastovation of the Year, one of Wellplast’s employees has also been nominated for the finalist in the category “Plastic Future of the Year Young Future”. 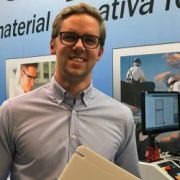 It is Wellplast’s designer Victor Brickling, who, together with Victor Jönsson, has been nominated for a product that they developed during a degree project at Lund University of Technology.The Plastovationer competition has been organized since 2008 by Plastforum. Other then the categories Plasticovation of the Year and the Plastic Innovation of the Year Young Future, they will also award prizes in the categories Plastovation Environment of the Year, Plastic Design of the Year, and a prize awarded to a person who has worked for a long time in the Swedish plastics and / or rubber industry. Plastovationer 2017 will be announced on November 15th during the subcontractor Elmia Subcontractor, which will take place on 14-17 November. 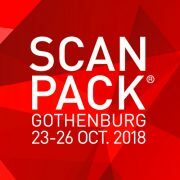 Empack is the largest packaging event in the Nordic region in 2017 and will take place at the Kistamässan in Stockholm on 4-5 October. We will be in stand I: 03 where we will show our different materials, packaging solutions and our unique plasticpallet concept. Read more about Empack here. Wellplast AB has again strengthened the design page. In June Gustav Engkvist started his employment. He works primarily with packaging development and has quickly gained a very good cooperation with the sales department and with customers. The result is through creative and effective solutions. Gustav took his Master of Science degree from Luleå Technical University last spring and holds a Master of Composite Materials. When he does not develop packages, much of his spare time goes to exercising. Crossfit and running. Hiking and skiing in the Swedish mountains is also a favorite. He has been at the top of Kebnekaise and participated in Vasaloppet. https://www.wellplast.com/wp-content/uploads/2018/04/Gustav-637x250.jpg 250 637 Jacob https://www.wellplast.com/wp-content/uploads/2018/05/wellplast-logotyp.svg Jacob2017-08-20 15:49:122018-08-27 11:12:33Welcome Gustav! Wellplast AB invests even more in development and we are very pleased to be able to welcome Victor Brickling to the company. Victor started his job as a packaging designer in June this year and has quickly become a valuable part of our design team. 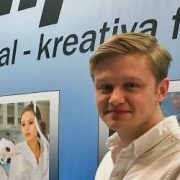 Victor comes recently from Lund University, where he successfully completed his MSc in product development. He works close with the sales department and customers to create effective and environmentall solutions. In the free time, training and the Premier League takes up much of the time. He is a connoisseur when it comes to bubbly drinks, and he gladly visits Champagne on his holiday. https://www.wellplast.com/wp-content/uploads/2018/04/Victor-B-637x250.jpg 250 637 Jacob https://www.wellplast.com/wp-content/uploads/2018/05/wellplast-logotyp.svg Jacob2017-08-20 15:48:042018-08-27 11:26:14Welcome Victor! 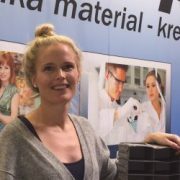 We are very proud to announce that Ia Svensson has started her employment at Wellplast AB in early January. The focus on exports means that demand for our packaging solutions is increasing steadily and also the need for packaging design. Ia is an experienced designer who, with valuable knowledge, strengthens our talented design team. Ia will mainly work with packaging design in 2D and 3D as well as prototype production. Ia arrives recently from Northgrade AB where she worked with development and quality. Northgrade manufactures 4P trailers. On free time it is family, cooking and travel that applies to her. A favorite destination is Sardinia. https://www.wellplast.com/wp-content/uploads/2018/04/IA-637x250.jpg 250 637 Jacob https://www.wellplast.com/wp-content/uploads/2018/05/wellplast-logotyp.svg Jacob2017-02-20 15:13:312018-08-27 14:44:37Welcome Ia!